In the build up to the launch of the eighth published title in the Harry Potter series, eBay.co.uk has seen nearly one Harry Potter related item sold each minute. 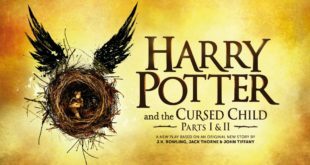 Harry Potter and the Cursed Child will tell the 'untold part' of the character's story. Users will be able to ride the Hogwarts Express online in April.